What a terrible Santa! He should be fired! And the photographer! 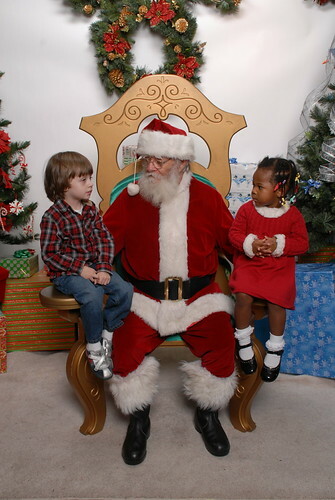 Santa is suppose to make the kids happy, not make them feel/look bored out of their minds! If you have the digital pictures, you can edit them in Picasa and make them a little brighter. Good luck! Sad! What a disgraceful Santa! 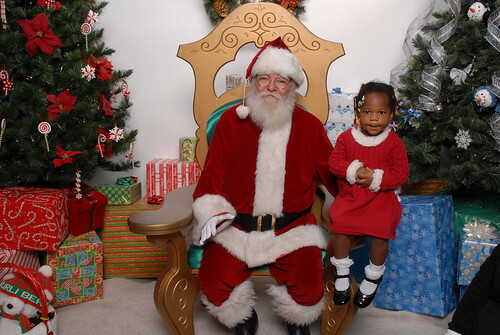 If you look at the pictures just right, it kind of looks like Santa is balancing one kid on each hand. Ha ha! Yep went to the same Santa. Not happy. It's the same Santa we took my son to 2 years ago and we didn't get a decent picture because Santa wouldn't look at the camera. 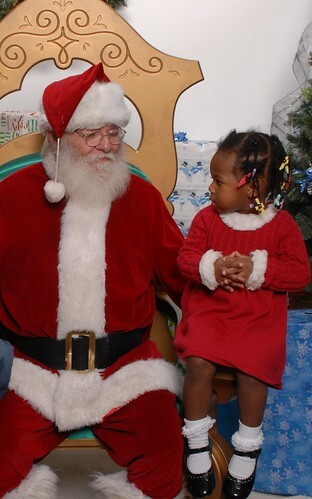 Last year we got the better Santa. It just depends on the day you go. And it's still the same photographer company, he just has other people taking the pictures now. He goes to the church we use to go to. And I know he would NOT be happy if he knew that was happening. And the reason this Santa does t smile.... Not sure if you checked out his teeth. You wouldn't have wanted him to smile. That was really mean, but they were bad. He also carried on random conversations with us and made weird comments as well. We took the girls there two years ago and had a terrible experience with that same Santa. Also, he closed his eyes during every single picture, so the photographer actually photoshopped different eyes onto his face. 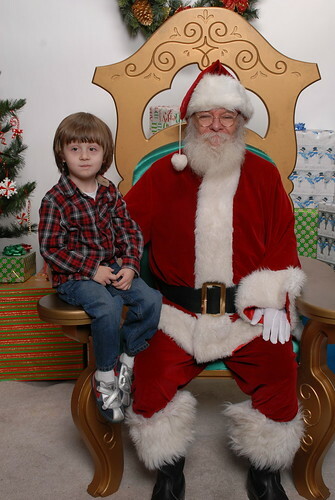 Talk about creepy Santa pictures! The Barkery has the best Santa in town...we take our dogs, but they do pictures of just the girls, too. I put the video of this year's pictures on my blog. Plus, it's only $50 and you get the CD and all 118 images professionally edited and retouched. Score!